Rollers vs. Trainer – Which Should You Choose? Sometimes conditions are not optimal for training outdoors whether it is the weather, time constraints, or suitable roads. There are ways to cheat what life and mother nature throw at you and train indoors. The two main devices for indoor training have devout supporters based on what each device provides. This is your introduction to the debate: rollers vs. trainer. It is raining/snowing/freezing/scorching/hailing and you still need to ride. Maybe you had to work longer than you planned and your window to ride is small. Perhaps you had to spend the day with your family and it is dark out now. Or you have certain intervals and you cannot think of a road with a long enough of an uninterrupted section to do them. All of these factors are possible and you still want to be in top form for an upcoming event and you feel that if you miss a day, you will fall behind. This is when you ride indoors. It lets you do a focused workout without interruption. Riding inside also allows you to keep your equipment cleaner and protects you from any weather related discomfort – both hypo- and hyperthermia mostly. When training inside, set up a powerful fan to blow on you. While riding outside, even on hot days, there is a lot air flow to cool your body down. The fan will mimic this airflow. Without the fan, you will get hot very, very quickly, to the point that you will compromise the benefit of your training. The only time it is OK to forego the fan is if you are getting ready for an event in a location that is far warmer than where you live. You are then training your body to cool itself. You MUST be prepared to drink two to three times the water you normally would for the duration of your ride. Rollers come first in the rollers vs. trainer debate because they have been around far longer. They are a simple device that allow you to ride inside; a cylinder, often referred to as drums, under the front wheel and two under the rear wheel inside of a frame. The front and middle drums connect with a belt. When you pedal, the rear wheel rotates the two rear drums. The belt moves the front drum, rotating the front wheel. The physics of keeping the bike upright are the same as on the road – spinning wheels and the centrifugal motion keeps you upright. It has a different feeling on the rollers because you are not going anywhere. While riding rollers, you must maintain focus or you can come off. It is not very dramatic however like you would probably imagine. It is more of a flop over to the side or off the back. When starting out, try it in a door frame, next to a wall, or next to a sturdy table. It will allow you to get on the bike and get the wheels spinning with support. Once you have mastered that, you can jump on the rollers anywhere. On rollers, you are building your bike handling skills along with your fitness. The differences in rollers comes in the diameter of the drums. The larger the drum, the less resistance for a given set of rollers. There is a limit of how hard you can go on rollers. You will not be able to do short, all-out efforts on rollers because they do not provide enough resistance. The other factor, that mostly determines quality but can also affect noise while riding along with a small component of resistance, is the material of the drums. Higher quality rollers have alloy drums, while lower quality have plastic drums. Alloy drums will last far longer and should be quieter. And quality matters with rollers. These rollers have been the gold standard for years. A trainer holds the bike stationary by elevating the rear wheel off the ground and has a very stable base to keep you from tipping over. The front wheel is also stationary (and should be elevated to the same level as the rear wheel with a block, phone book, or some other stable object). The trainer has a resistance unit that the rear wheel spins when you pedal. A good trainer’s resistance unit will mimic the resistance you feel on the road – the harder you go, the harder the trainer resists your effort. While riding a trainer, you do not need to keep focus on your handling; the bike is static, except for the pedals and rear wheel. 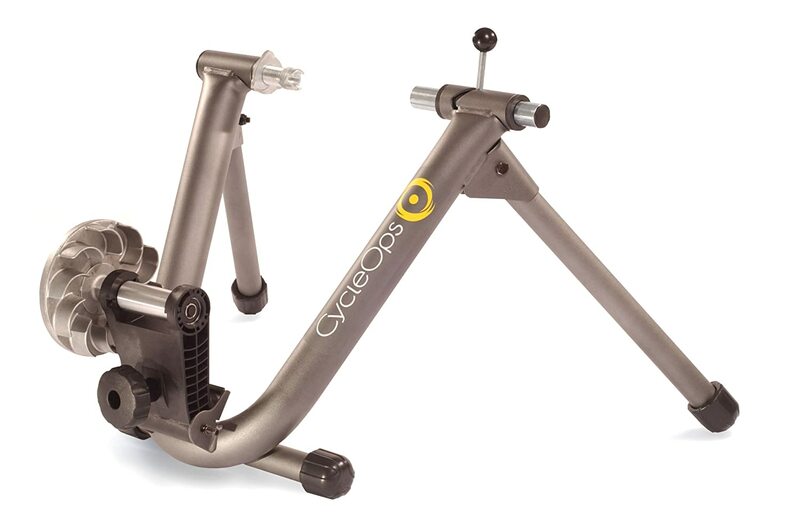 For the majority of cyclists, resistance on a trainer is impossible to run out of. You can go as hard as you want and still have a challenge from the trainer. Your body is the limiting factor. Wind – The most primitive form of trainer resistance and also the noisiest. It does provide progressively harder resistance. This trainer provides a solid starting point. Magnets – Quiet, although less progressive resistance than the road and other options. This trainer is a quality, economical option. Fluid – The quietest and most engineered resistance. It is supposed to mimic road feel as closely as you can on a trainer. This trainer has been a very solid option for a long time. The size of the flywheel on the trainer also helps dictate the feel of the trainer; the bigger the flywheel, the less it feels like you are pedaling through mud. There is a new category of trainer – direct drive trainers. You remove the rear wheel and mount the rest of the bike on the trainer with the chain of your bike driving a cassette on the trainer. These are supposed to provide the closest feel to the road. They are also the most expensive. Now that you know what goes into rollers and trainers, here is the showdown: rollers vs. trainer. 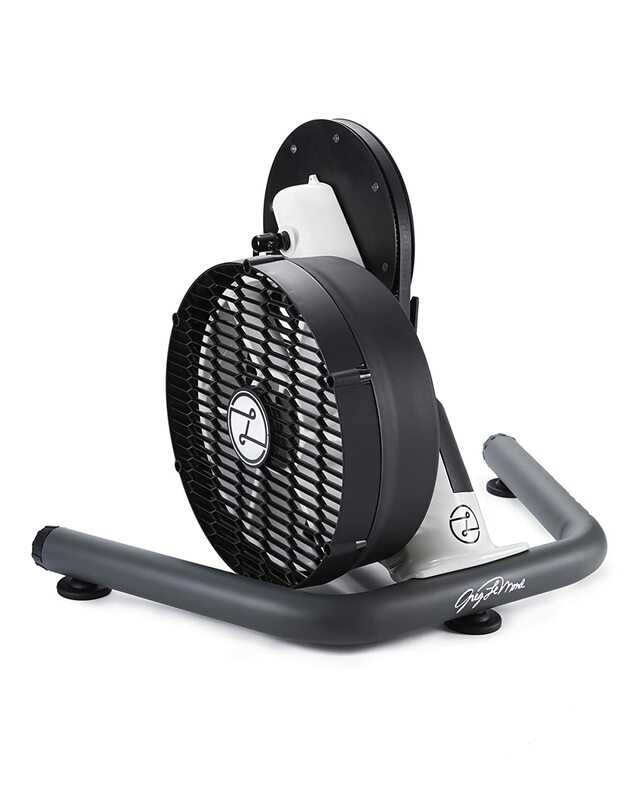 If you need to put down serious power when training indoors, a trainer is for you. 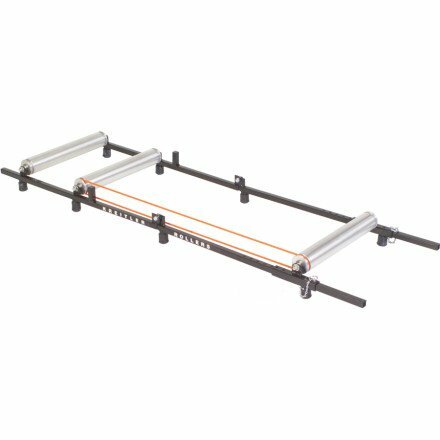 If you would like to work on your handling while getting your workout, use rollers. Rollers also give you the benefit of being slightly more interesting as you have to pay a little bit of attention to keep from falling over, but you are still riding inside. You might need some supplemental entertainment with either to keep you from boredom. The best of both worlds would be to have both a trainer and rollers. If you are diligent in your search, you could find a used quality trainer and rollers. It gives you options and versatility in your training. The Best Way To Lose A Race!